Peter Durand of London invented the first metal can for preserving food. His invention was a great success, particularly among the military. Canned food made provisioning an army far easier. For almost 50 years, however, the only way to open a can was with a chisel and a hammer – or a bayonet. A basic can opener didn’t appear until 1858 invented by Ezra Werner in America. An improved version of an opener, using a cutting edge and a wheel, came to the market in 1870 thanks to the efforts of William Lyman, also from America. In 1925, the can opener changed again. This version had a serrated wheel, and is similar to those in use today. There are sources of naturally carbonated water but these are few and far between. Such water is popular, though. So inventors have turned their minds to producing an artificial equivalent. The first man-made carbonated water appeared in 1767. Joseph Priestley, an English chemist, passed gas through liquids and created fizzy bubbles. The idea behind refrigeration appeared in 1748. William Cullen of the University of Glasgow created a way of cooling air by evaporating liquids in a vacuum. Cullen did not pursue his idea commercially. It was Oliver Evans, an American inventor, who came up with the first practical design for a refrigerator. A doctor, John Gorrie, used this design in 1844 when he constructed an ice-making machine for medical purposes. The first refrigerator for food available to the public came out in 1911. The General Electric Company manufactured it. But these and similar models were not self-contained. They had an electric unit on top of a box that held ice. It was in 1915 that Alfred Mellowes invented the first electric refrigerator as consumers know it today. Marshmallows are one of the oldest types of sweet. The Ancient Egyptians three thousand years ago made them using mallow root. The mallow was a plant that grew in the marshes along the River Nile. The root was both sweet and glutinous. 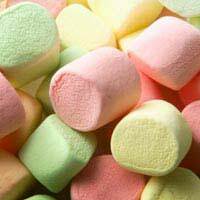 Modern marshmallows do not have mallow root in them. Confectioners have replaced this with gelatine. The microwave has revolutionized food preparation since its introduction in 1954 by the Raytheon Corporation. The concept began as a chance by-product of research into radar during the Second World War. This research used magnetrons – vacuum tubes that create microwave radiation. Percy LeBaron Spencer was working with these magnetrons in 1946 when he discovered they had melted a chocolate bar he happened to be carrying. Spencer’s subsequent experiments established that microwaves were very efficient at cooking food. Sandwiches are a daily part of millions of people’s lives. Food historians credit their invention to the Fourth Earl of Sandwich, John Montagu. The story goes that he didn’t have time for a formal dinner. He therefore asked his cook to put some meat inside a loaf of bread. A New York coffee and tea merchant, Thomas Sullivan, invented tea bags in 1908. The idea began when he gave his customers samples of tea in small silk bags. He then noticed that some of his customers didn’t empty the bags into a teapot and pour boiling water onto them. They simply put the bags into the pot. Silk proved an expensive material for commercially produced bags, of course. Paper replaced it.